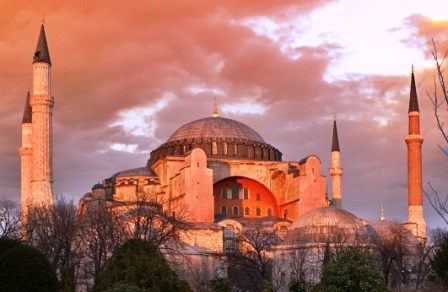 The Süleymaniye Mosque is located on the third hill of Istanbul. It was ordered built by Sultan Süleyman. The structure combine Islamic architectural elements like minarets and Byzantine architectural elements like half domes. It took eight years of construction, and was completed in 1558. Today it is one of Istanbul's most famous sights.